Are you mindful or mindless? Are you certain you're right? Are we squandering our greatest gift? Have you lost your marvels? ARE YOU WORKING WITH ALOHA? In his role of invited lecturer to the 75th Annual Meeting of the Pacific Coast Surgical Association in Maui, Hawaii, Dr Pearsall shared some of the results of his clinical study of highly successful persons and how their success and their pursuit of it often resulted in health and family problems. He highlighted 15 of his findings related directly to the physicians and surgeons included in his sample and suggested that healthy success is related less to time management than attention management. He pointed out that hard work, time pressure, stress, and a demanding schedule had less of a toxic effect than a lack of mindful engagement with life and those with whom we share it. He concluded with 5 ancient Hawaiian principles of healthy success Hawaiian style, the concept of po′okela, meaning achieving excellence through mindful awareness of shared values rather than individual objectives. I begin my discussion of the toxicity of success by asking you to ask yourself a question. It was the first question we asked of the subjects in our clinical interviews of highly successful people, and it provided us with insight into the effect of how they defined, pursued, and experienced success. Think of the person who knows you best. It may be your spouse, a sibling, a parent, a colleague, a friend, or your child, but make sure the person you are thinking of is someone who knows the real you better than any other person in your life. Think carefully before answering because our research indicates that your answer is a key predictor of whether you are suffering from toxic success syndrome. Here's the question: "Would the person who knows you best say you are a true joy to live with every day?" If you answered a sincere and honest "yes" to my question, chances are your success and how you are seeking it are healthy for you and your family. If you scoffed at the possibility that you are someone with whom it is a treasure to live, work, and love; could not think of someone who knows the real you; or your mind was too distracted with thoughts about being on time for your tee time for golfing after this morning's meeting to be bothered by such a question, you and those with whom you live may be victims of toxic success. During the time I was reviewing and writing my research protocol on successful people, I met 3 men. I was on my morning walk with my wife, and I noticed them hard at work. It was another sunny day in Hawaii, where the air is usually fresh and invigorating, but today I could smell a foul odor. It was coming from the work the men were doing, and my encounter with them provided a lesson about the difference between toxic and healthy working and the relationship between healthy success and our state of mind. I saw a large tanker truck with a long black hose draining the septic tank in front of a home. On the panel of the truck just beneath the professional lettering of the company name was an amateur drawing of a smiling worker holding a shovel full of waste. The slogan beneath the cartoon character read, "Call us. We're willing to take your crap." I walked over to the man at the rear of the truck. He was holding the lever that powered the pump and had a frown on his face. He seemed bored and eager to be done with his task. We began what we Hawaiians call "talking story," taking plenty of time to chat about nothing in particular and with no particular hurry to get to a point even if there is one. This is a process that frustrates the toxically successful, who often view time as money and dread what they consider to be wasting any of it by engaging in activities such as chatting, strolling, meandering, sauntering, or just—as we put it here—hanging loose. Talking story as I am doing even in this lecture requires the kind of slow thinking that can be an antidote for toxic success. I highly recommend you try it while you are visiting our islands. The man controlling the pump's motor seemed impatient and even a little angry at my distraction. He clearly had very little attention to spare and seemed irritated with me for trying to take any of it. "Howzit?" I said, which is island-style talk for "How are you, what are you doing, and would you like to talk awhile?" With a sigh of disgust and without looking at me, he curtly said, "See the name on the truck? That's me. I'm the owner of the company. If you need your tank pumped, reach in and take one of my business cards from the dashboard." "No thanks," I said. "But this must be very hard work." Again without looking at me, he began a diatribe it seemed he must have given many times before. When you're the guy who pays the bills, it's more than hard work. It's a hell of a way to make a living, but it puts food on the table. I'm on call for emergencies 24/7, I'm responsible for everything. The whole job is always in my hands. No matter how many jobs I do that go right, one wrong move and it's a disaster. Everybody needs what I do, but nobody really wants me to do it. They complain about the cost and think I make way more money than I do. Just my insurance alone costs me a big chunk of every cent I make and it goes up every year. I have to work most of the year just to pay my premiums. Nobody needs or wants me unless their life is in a mess, and then they want me right then and there. I have to deal with all kinds of stupid regulations and waste my time filling out tons of useless paperwork required by the government that doesn't know s___ about what I do, and . . . . He stopped talking suddenly, swore, threw the wrench he had in his hand to the ground, and slammed a gauge with his fist. "I can't waste time talking story now," he said as he looked at his watch and went back to aggressively pushing and pulling various levers. As I stand before all of you surgeons today, it seems on reflection that his job description may not have been totally different from your own. Another worker was standing on top of the truck's cabin and shouting the boss's orders to a man holding the hose in the front yard. "You want to know what my job is?" he said loudly. "I pump crap," he said. "It's as simple as that. It's the most rotten job in the world and I'll bet a guy like you would never think of doing it." The negative energy of the 2 men at the truck, what Hawaiians call mana, was palpable, so I walked over to another worker struggling to control the heavy pulsating hose. The noxious smell was strong, but he was whistling happily. When he saw me approach, he looked up and said, "Aloha kakahiaka! (Good morning.) Aren't you going to ask me what my job is? I'm an environmental protectionist. Someone has to take care of the ′aina(earth) and get rid of the crap people create." He laughed heartily as he began to retract the hose from the tank. How do you like the slogan I painted on Dave's truck over there. He hates it but he's too cheap to have it taken off. Dave's busy earning a living, Fred sees himself as a crap pumper, but I'm a hands-on ecologist. They have bad mana because they think of their work in a bad way. If you want to love your work and enjoy life, it's a matter of your point of view. Much of the focus of research on stress and work has been on things like time management, various stress management techniques, trying to "live in balance," somehow "cutting back," or "putting in quality time," and how to avoid being a "type A" personality. My own research indicates that these approaches seldom work for long and that it is the nature of our consciousness that has the most significant influence on whether our work and view of success causes our families and us to flourish or languish and what that success ultimately does to our health and well-being. When it comes to the effect of our work on our life, a key factor seems to be whether we are mindless or mindful in our approach to our daily life. In other words, it is less what we do than how we think about what we are doing and why and for whom we do it. Psychologists define mindfulness as flexible, slow, nonjudgmental, reflective thinking that is open to novelty.2 It is full mental engagement and the exact opposite of what Buddhists call a "monkey mind" that automatically reacts without thought. It is tortoiselike thinking that is sensitive to context and perspective and situated in the present. When we are mindless, we tend to perceive without consciousness. In other words, we are thinking on automatic pilot. Psychologist William James described an example of someone who goes upstairs to change for a party and suddenly realizes he is in his pajamas and cleaning his teeth. You may have poured hot water into the sugar jar, used pepper instead of salt, or lit your fireplace logs with today's newspaper. There is a story of a vicar who dreamt that he was delivering a sermon and woke up to discover that he was. Thinking mindlessly is like the computer that flies an airplane on autopilot. The plane's autopilot monitors the aircraft's mechanical system and automatically causes it to adapt to changes without the knowledge of the pilot. This is fine for ordinary flying conditions, but I think all of us want to believe that the pilot of our plane is fully conscious and mentally awake and alert and has not turned the entire flight over to the autopilot. It is even possible to do surgery mindlessly. You may have done a procedure so many times and know it so well that you are like a person driving a car who suddenly realizes that he or she has been driving for 20 minutes without really knowing it. We need our autopilot mindless thinking. Without it we become forever trapped in an analysis paralysis. But we also need our higher consciousness in the form of fully mindful engagement with the world. Toxically successful people are often mindlessly moving through their life and are not fully aware that they are alive until something or someone goes terribly wrong and they have to go off autopilot. The philosopher Gottfried Leibniz wrote, "At every moment there is in us an infinity of perceptions, unaccompanied by awareness or reflection; that is, of alterations in the soul itself, of which we are unaware." It is this is the kind of almost cataleptic consciousness that characterizes the toxically successful. Healthy success is being able to know when we are living only on mental autopilot and, by doing so, missing out on what make lives worth living. The toxically successful tend to be hare-brained fast thinkers who have become rigid in their views. They are cynical, quickly evaluative, and often oblivious to context, perspective, possibilities, and creative ways of construing our situation. They are skilled at doing very complex routines while being mentally elsewhere. When one of the surgeons we interviewed defended his mindless way of relating with his wife by saying that he felt that he had "many important things on his mind and the weight of his practice all on his shoulders," she responded, "I'm glad something is on your shoulders, because when it comes to thinking about me, it doesn't seem to be me." Mindfulness requires an act of will. It is intentionally trying to learn to notice the existence of things and people that we have not seemed to fully notice before. Instead of stress management, it is becoming fully conscious of why we are stressed in the first place. Instead of trying not to be type A, it is trying to become more fully cognizant of why and how we put ourselves in situations in which we pressure and push ourselves to the point of distraction. Mindless thinking is misoneistic, meaning being intolerant and even afraid of new ideas related to important issues in life. Mindless people have constantly distracted brains and chronically busy bodies, so ideas like those I am sharing with you can be quickly dismissed or not even fully registered in the consciousness of the toxically successful. They tend to feel certain they are right and in their working, they usually are. Unfortunately, they are unaware that there are many kinds of intelligence and that wise people have many of them that they mindfully match to each situation in their life. Some of the surgeons we interviewed seemed to think no differently in the operating room than they did at home. One kind of intelligence may work well for good cutting but another may be needed for demonstrative caring. The toxically successful tend to overevaluate their intelligence and consider how they think and see the world as the obviously right way. They are unwilling to take the time to consider thinking in new ways and are so used to autopilot consciousness that—unless they are shocked to awareness by a life crisis—they keep on thinking in the same ways. Mindless thinkers are what physician Larry Dossey referred to as "right men," who view themselves as lonely brilliant holdouts against a world populated by dopes, dummies, and slow thinkers. He was using a male reference for this way of thinking as it was first presented by science fiction writer A. E. Van Vogt and later popularized by British writer Colin Wilson, but women think this way too.3 However, my own research indicates that it is in fact a way of thinking that tends to be much more characteristic of men. My informal survey of the gender of those who attend alternative or complementary medicine seminars where different ways of thinking about health and healing are presented indicates that female nurses far outnumber male surgeons. If you will look around this lecture hall, you might notice that some of the right men you know are not here. It has been my experience that those who might most benefit by being challenged by what I have to say are either too busy to come to this talk, prejudge the topic as "soft" and not worthy of their already overwhelmed attention, or have their minds made up and do not want them bothered by "weird" ideas. The problem is, these toxically successful people are often carriers, meaning that they stress and strain others with how they think and act, but their mental autopilot causes them to be oblivious to how aggravating they can be. No matter what new research they encounter, right men or women constantly extend the goal posts for their criteria for reexamining their way of thinking. The example of the 3 men and the truck illustrates the importance of how we come to view what we do for a living and why and how it influences our general mood. The data are clear that how we think effects our health and immune status, so I hope you will realize that you do not have to have a hole in your head to have an open mind. Where and how we focus our attention is arguably our greatest human gift, and the results of my research on highly successful people as identified by their peers, status, income, and self-reports suggest that it is the content of our consciousness, not the hurriedly scribbled obligations on our calendar, that is an important measure of whether we experience healthy or toxic success. It is not just your surgical schedule but what is on you mind as a surgeon that determines whether whatever success you experience and how you pursue it becomes toxic. When it comes to the issue of mindfulness, it seems to me that there are 2 unique challenges for surgeons. First, much of your success in your work derives from your ability to focus your attention, work on mindless consciousness autopilot, and work quickly and without hesitation. Most of the surgeons we interviewed prided themselves on their quick thinking and ability to make fast and clear decisions. When it comes to most surgical procedures, pulling up a stool, sitting down, talking story, and taking lots of time to reflect on a more creative way to proceed is probably not the best way to proceed. On the other hand, mindless quick and automatic thinking can also lead to problems. Most surgeons know that even the most ordinary and common procedure can encounter unexpected problems that require not only hare-brained quick thinking but a mindful and creative tortoise mind. In fact, surgeons tell me that it is often the most common and simple procedures that lead to complications and that their problems seem to come in clusters. One surgeon told me, "I go months doing some pretty complex surgeries and there's not a single problem. Then, for some reason, some simple thing goes wrong and I'm in for a series of complications." We can only speculate why the "surgical disaster domino effect" occurs if in fact it really does, but I suggest that it may not only be some manifestation of chaos theory, pure randomness, the attraction of the golden mean, or simple spontaneous bad luck that is responsible. Perhaps something is happening to the surgeon's consciousness. Perhaps his or her autopilot is beginning to fail and mindlessness is beginning to take its toll. Perhaps, when things seem to start to go wrong at work, we should also look at home for clues for how we are thinking there and if we may not be becoming too mindless. The second challenge I suggest is somewhat unique for surgeons and is related to the research on stress. Most studies indicate that the combination of a high degree of responsibility with very little power is a lethal combination when it comes to health and well-being. While many occupations can be characterized by this combination of factors that lead to toxic success, many people assume that surgeons have not only great responsibility but also the power to deal with it. Experienced surgeons know that, particularly outside the operating room itself, their power is nowhere as great as those outside the medical establishment might assume. They are bound by rules, regulations, mountains of paperwork, the conduct of other professionals, and often cannot proceed based on their best thinking and instincts because of obstacles created by nonmedical issues. 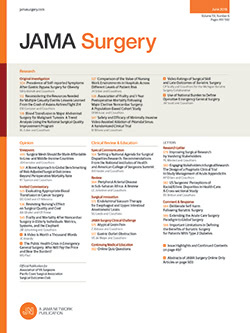 Because surgeons unquestionably do work that is among the highest level of responsibility but their power seldom matches that level, it might be expected the surgeons would often encounter unique levels of stress. One of the founders of modern medicine, physician Sir William Osler wrote, "The first step towards success in any occupation is to become interested in it." Interest is mindful. It is never autopilot mentality and involves reflecting on what and why we are doing what we are doing and putting it in a larger meaningful context. Our interviews indicated that toxic success occurs when we approach our work from an exclusively mindless "get it done quickly" perspective. There may be surgeons who have done a procedure so often they can almost do it with their eyes shut, but I doubt that they can continue to develop and learn with a closed mind. When I was dying of cancer and required several surgical procedures, I always asked my surgeons if they were deeply interested not only in my case but in being a surgeon. I trusted their hands, but I wanted to know what was on their minds and, therefore, ultimately in their hearts. They were often taken aback by my question, and thought the answer must be obvious. Some answered that they would not be doing what they were doing if they were not interested in it, but I have not found that always to be true. Staying interested requires willful acts of attention, remembering, and connecting. My questioning about interest and my surgeon's state of mind was what we Hawaiians call a mana check. I wanted to know if they still retained their fascination with what they were doing and why. Just before one of my most life-threatening surgical procedures, I joked with 1 of my surgeons that I wanted to know if he had "lost his marvels." He laughed and said, "Do you mean have I lost my marbles and gone nuts?" No, I answered, I want to check again to be sure you love doing what you doing and still marvel at being able to do it. I want to be sure the man who is going to open me up is leading an awe-full life, a life full of awe at what he does and the miraculous nature of the human body. I was trying to determine if he had retained an almost-childish enthrallment with his ability and skills and the privilege of doing such sacred healing work. My 20-year clinical study of some of the most successful people in the world included several surgeons, and I want to share with you today some of the findings from that study that indicate the importance of understanding the difference between the 2 kinds of success we noted in our work. Please remember that I am only sharing some ideas with you that we developed from our study. I am not presenting an entire research protocol. I am here today to get your attention about the nature of success as it relates to your daily life, and that no matter how normal it may seem that you think and behave as you do, normalcy may increasingly be becoming a major health risk factor. As psychologist Carl Jung pointed out, just because millions of people are thinking the same way does not make those people sane. Because you have come to Hawaii to meet and learn, I invite you to ask yourselves if you are living and working with aloha, a word that means to share (alo) the sacred breath of life (ha). Are you living haole style, a word that refers to being without (ole) breath (ha) by leading the kind of distracted, pressured, disconnected, life in which you seldom take the time to catch your breath or share a breath with others? While you are here in our islands, I hope you will sit down, shut up, take a deep breath, and reflect with someone else about what it might be like to stroll through the corridors of your mind. At the end of my talk today, I will share 5 principles of healthy success Hawaiian style, a form of excellence in working called po′okela, the Hawaiian word meaning "excellence through mindfully shared values rather than individual objectives." Po′okela is first and foremost mindful working and living characterized by attention not only to your work but also to those who ultimately give purpose and meaning to going to work. My clinic schedule leaves me too busy to love and too tired to care. My wife tells me that if I paid as much attention to my patients as I pay to her, I would kill them. She says that we might actually be able to enjoy our life together as much as I seem to enjoy my work if I would only be more alert and mentally with her when I'm home. Based on our interviews, there is another kind of success that is much healthier and leads to more shared happiness. It is the kind that results in feelings of aloha, meaning being energized by our work and having plenty of mental vitality left over after working for shared contentment, calmness, and a loving connection with the people in our life for whom most us are working in the first place. I'm at least as busy as the other docs in my practice if not more so. I know I have as many patients and difficult cases. The difference between them and me is that I don't seem to feel as pressured as they always are because I know when to say no and when I have to pay attention to where my energy comes from—my wife and family. I take the time to think and not just do and sometimes I commit the ultimate sin of a busy doctor and just sit and do absolutely nothing but think about whatever comes to my mind. I'm not bound by what I call competence competition, the old doctor-keep-doing ethic of being seen as so tremendously talented and in demand that I am exhausted and pushed to the very limit. I'm long over my need to impress anybody with how busy I am and how exhausted it makes me. My mind and my life are my own, and my work is part but far from all of it. Statements like the previous comments were obtained from extensive interviews conducted over 20 years. In 1975, my clinical team and I at The Problems of Daily Living Clinic at Sinai Hospital, Detroit, Mich, began videotaping interviews with highly successful persons and their families. We conducted thorough medical examinations, Holter monitoring, psychological testing, and videotaped subjects at work, at home, and sometimes when they were driving. Whenever possible, we also interviewed their clients and patients, spouses, and other family members. When we could, we collected dental records and interviewed the persons who worked for and/or with them. I'm proud to say that this work earned us the Rush Gold medal for achievements in preventive psychiatry from the World Congress of Psychiatry. Over the next almost 25 years including follow-up interviews, we collected a total of 537 complete sets of data. Twenty-nine of these protocols were from physicians; of that group, 17 were surgeons. They had all come to our clinic for psychiatric help, but because ours was the first positive-psychology clinic focusing on maximizing personal strengths and virtues rather than diagnosing and treating problems, none were diagnosed as having psychiatric conditions or prescribed psychotropic medications. In fact, we referred to those who came to us as "clients" rather than "patients." Persons who were in need of more traditional psychiatric care were referred to the traditional outpatient psychiatric program at the hospital. Of course such a small and highly biased and selected database does not justify statistical conclusions, but the thoroughness of the interviews and the comments from the respondents provide insights and questions I think are worthy of your mindful consideration. They are ideas from and about highly articulate and successful people who admitted to what we came to call toxic success syndrome, a way of thinking characterized by automatic, distractible, mindless, quick, and judgmental thinking that results in disconnection from family and resulted in a sense of languishing–—going through the motions without deeply experienced positive emotions. I have abstracted some of the findings from our study of the 29 physicians. They included physicians from a range of specialties and all were board certified and in private practice. Fourteen were professors at 1 of the local medical schools. This subgroup in our study included 21 men and 8 women. The age range was 33 to 61 years (mean age, 47 years). They had trained at medical schools and hospitals throughout the United States; all but 3 were married at the time of the interviews. There were a total of 24 divorces within the group of 29 doctors, including 16 who had divorced once, 2 who had divorced twice, and 1 who had divorced 4 times. Twenty respondents had children ranging in age from 2 to 23 years. In 2002, I published the complete findings on toxic success.4 Here are some general results based primarily on the data from the 17 surgeons in our sample. Again, they are only generalizations intended to promote your thinking about your success and how you are pursuing it, not conclusions about the nature of thinking of most physicians. I will leave it up to you to decide how representative these reports may be, but just thinking about them could be helpful in taking you off autopilot for a little while. 1. Either by their training or temperament, they tended to focus primarily on what is wrong more than what is right. While this cognitive style seemed to serve them well in their medical work, it often resulted in conflicted family life and stressed or failed marriages. Their family status as an evaluator, critic, diagnostician, and problem solver rather than equal participant left those who lived with them often feeling pressured by or disconnected from them. 2. They reported guilt for feeling burdened by rather than understanding of their family's problems and being too mentally fatigued from dealing with problems at work to welcome the daily life catastrophes that characterize family life. 3. Their family members reported that while they often laughed with others in social settings, at home they lacked a sense of humor and tended to be cynical, hypercritical, and often sarcastic. One husband of a surgeon said, "If my wife was as funny and charming at home as she is at parties, what a great marriage we'd have." 4. They tended to make the "attribution error," meaning that they considered others' mistakes and faults as owing to their character or failures and their own mistakes as owing to the situation. 5. Those who lived with them said they tended to consider themselves smarter than most people and seemed to feel that they were surrounded by incompetence. One young son of a surgeon said, "My dad says he's sick and tired of having to deal with idiots. That's what he says all the time, especially when he's driving, and he says a lot worse than that sometimes." 6. They made the "false consensus" error that other physicians were more like they were. One respondent said, "Look, any highly successful surgeon is going to be like I am. It's just the nature of modern medicine." I think I've solved our problems. I'm going to enroll as one of my wife's patients and schedule appointments with her every day. I'll take her first 6 appointments and keep moving from one examination room to another so she has to meet with me for a half hour. I just want to be treated like she treats her patients. 8. Both the physicians themselves and their family reported that the physicians tended to neglect their own physical and dental health through lack of sleep, no time to do routine dental and hygienic care, or to exercise, and despite the advice they gave their patients about diet, they regularly violated that advice in their own life. One wife of a cardiovascular surgeon reported, "If my husband followed the advice he gives his patients, I'd be a lot less worried about his health. I think he works on hearts healthier than his and that he might pass out from doing too many bypasses." We make love around our work schedule. We're both busy, so when we do make love, I guess you would say it's more a form of meeting a biological need and even stress reduction more than real passion. It's like we're making love to or for each other but not very often really with each other. 10. The physicians themselves and their spouses, family members, and persons who worked with them reported that they were prone to what we called the "hot reaction" style highly reactive to stimuli. They showed the signs of quick and immediate sympathoadrenomedullary activation. Our Holter monitor results revealed an immediate and significant increase in heart rate whenever a noise occurred or when they experienced frustration. One surgeon said, "When someone does something stupid or somebody moves too slow and wastes my time, I can feel my heart begin to race and my blood pressure going up." 11. Most of the physicians were confirmed multitaskers who reported being polyphasic (constantly doing more than 1 thing at a time). They considered doing 1 thing slowly to be a waste of time and somehow a failure to use their full intellectual capacity. 12. Spouses and family members reported that the physicians tended to be proleptic, meaning that they tended to hurry others' thoughts and speech and tended to finish others' sentences or thoughts for them. They seemed to feel that others were thinking far too slowly and needed their encouragement and help to "spit it out" and "get to the point." 13. Spouses and family members reported that the physician was prone to falling asleep whenever he or she sat doing nothing. 14. Spouses reported that their physician wife or husband would often sneak away from family activities and social outings to make covert telephone calls about work. Even when he's with me, he's not with me. We actually have enough time together, but when we are together, he's not really present. I feel like he's rushing me to do whatever it is I want to do with him so he can get back to thinking whatever it is he wants to think about. His mind's always racing and even when we are out together, he seems to talk to other people more than me and even forgets I'm there. I'm afraid to burden him with my worries and problems. He always seems to have so much on his plate and I don't want him to see me as a nag and just another problem to deal with. Perhaps the most significant finding from my research on health and work was that hard, long, intense, tiring working had little to do with what emerged as toxic success syndrome. Toxic success is primarily a state of mind and can occur in persons working 80 hours a week or not working at all. As a surgeon, what is the content of your consciousness? Where do you invest most of your attention? Which of the 3 men cleaning the septic tank do you most resemble? Are you like the grumpy owner of the company who was so overwhelmed with thoughts about his obligations and perceived external pressures that he did not have time to think about much else? Or, are you more like his employe executing tasks, thinking on mental autopilot, and focused on earning a living? Hopefully, you are more like the whistling worker who had plenty of time to talk story and who thought about his work in a creative way that made him alert, alive, and joyfully engaged. I want to work for the reasons I gave the committee when I interviewed to get into medical school. I want to live and work to make those answers about helping humankind be more than clichés. If I ever lose sight of my purpose for being a surgeon, I'll stop being one. My admittedly limited number of interviews of surgeons indicates that they can pay an immense cost if they approach their work with mindlessness at the core of toxic success. Beyond the obvious pressures of life-and-death decisions and of holding lives in their hands everyday, they can become seduced or come to feel more like cutters than care givers and more like mechanics than healers. Most Western culture physicians do not describe themselves as healers, but those who experience healthy success think of what they do as healing and not just fixing and repair. The physicians who are still awed by what they do and the honor of being allowed to do it are the same men and women who report a vibrant, fully engaged, joyful family life. We learned from our interviews that the practice of medicine consumes an extraordinary amount of attention and it requires conscious commitment to save some for family and life in general. If they are not in charge of their consciousness, physicians can fall into the mental habit of ruminating about their work, going over and over in their minds what happened there, and what could and might happen. If they are not mindful, there is more than enough bureaucratic interference and bungling and senseless interference from those who know very little about what they do to lead to a mind consumed with anger, chronic impatience, and a short temper. The physicians we interviewed acknowledged, but often ignored, the signs of the severe stress of being a surgeon places on their body, immune system, psyche, and ultimately their family. Many of our respondents said they "thrived on stress," but the fact is that no one does. We are made to deal with and adapt to an immense allostatic load, but it is load nevetheless. Mistaking an intense life for a meaningful one was a common mental error made by the toxically successful. I have been a life-long collector of definitions of success. Like most young persons, I learned very early that success was associated with striving, struggling, and a single-minded and goal-oriented focus. I read that professional people do not take their personal problems to work or bring their work problems home, but my research indicates that healthy success is more mindful than single-minded and that the attempt to separate our personal from our professional life is not realistic or perhaps even the most healthy way to proceed. The more I studied the downside of success, the more I learned that the standard advice for dealing with it was not helpful. For example, I am not talking about trying to live and work in balance, because that is impossible. Psychologist Carl Jung pointed out that he could not imagine a more miserable existence than a life lived in perfect balance. Life by its very nature is chaotic, and to attempt to impose balance, total control, and predictability on it only wastes more of the mental energy already depleted by our failure to manage and control our attention. I am not talking about cutting back, because our study indicated that working hard and long had little correlation with either a happy or a disruptive family life or bad health. I am suggesting that what you may have accepted as the normal way to think about and conduct your work and daily life is what may be a risk to you and your family's health. If any cutting back is called for, it is in the area of mindless thinking. I am not talking about not being a type A personality, because the research clearly shows that this label was better social commentary than it was good research. Toxic success is not working hard, long, and with concern about time. It is an automatically hostile cognitive style and our failure to control our own attention and place it where it matters most that results in toxic success. Toxic success is being a chronic psychological absentee, someone whose mind is on work when they are home and on home when they are at work. The toxically successful seem to always be going somewhere but are never really anywhere for long. They seem to forget the warning that we cannot get "there" from "not here." In preparing to publish my findings about toxic success, I reread most of the more than 1000 definitions in my collection. To draw your attention to the possibility of toxic success in your own life, I selected 20 definitions of success as offered by creatively mindful people from all walks of life to share with you today. They include successful authors, poets, singers, and comedians and comediennes, and some well-known persons most of the world sees as paragons of success. I contrast the 20 mindful definitions with 20 formulas for success that derive from a mindless view of what it takes to be successful, a view shared by a society that firmly believes that winners never quit and quitters never win. I have found that if quitting means learning to have less, do less, and say no so we can take our minds back, healthy winners quit all the time. As you listen to these different sets of definitions, see if you note that the popular motivational definitions of success seldom fit the ones presented by those who look at life more mindfully. The problem with success today seems to be that how we are told to get where we are going does not seem to match where most of us really want to be. Do you hear the differences between what is usually described as the desired experience of success and the cultural orientation offered as the way to be successful? Here are some definitions of success as presented to me by some of the subjects in the toxic success study. After spending time going over the data about their lives with them and their families in what we called a "mindful round table review" of their success, many subjects seemed to change their mind about its meaning. These definitions indicate that something within all of us seems to sense what sweet success should feel like. It does not seem to involve the mindless sending and receiving of countless e-mails, cellular telephones pasted to our ears, and beeper buzzing on our belts. It does not seem to have much to do with possessions and status, although those who do not have these things may think so. We have developed a consumerist mentality ever on the ready to compete with others for the stuff we have been promised will make us feel successful. The choice that led to our toxic success was to work the same or even more hours to earn twice as much money. Our Western society has become toxic success prone because we chose competition over connection. We made up our minds that more is always better and new trumps old. The consumption levels of the 1970s and 1980s were the highest achieved by any civilization in human history. We are almost 5 times richer than our great-grandparents were at the turn of the century, but are we really 5 times happier? Researchers Joel and Michelle Levy write, "The number of people who report being ‘very happy' peaked in 1957! "6 [exclamation theirs] Our choice to consume rather than be content has resulted in a lack of free time, distraction from our relationships, and more depression and even physical illness related to our increasingly mindless way of living and working. I wish I'd known sooner that if you miss a child's play or performance or sporting event, you will have forgotten a year later the work emergency that caused you to miss it, but your child will not have forgotten that you weren't there. "I know now that the most creative thing I've ever done is being a parent." I can remember some blurry choices when my children were young when I may not have attend a play or a soccer game because I had some conflicting business commitment. It's ironic that 25 years later I can remember I didn't go to that event, but I can't remember what business thing I was doing. I wish I had been defined as the father of my children, as someone who makes my community a better place. Randall Tobias, Chairman and Chief Executive Officer, Eli Lilly Corporation, Research Psychologist and University Professor. The above responses indicate the kind of thinking about success that results when we are mindful about how we approach our work and show our love to our families. Because the toxically successful tend to function from a deficiency motive and seem held hostage by the tyranny of too many choices, they are constantly striving to make up for some nagging sense that they do not yet have enough but might be able to get enough if they try harder for what they want. Scientist Alan Thein Durning writes, "Studies on happiness indicate that the main determinants of happiness in life are not related to consumption at all; prominent among them are satisfaction with family life . . . marriage . . . work, the leisure to develop talents, and develop friendships. "5(p70) All of these skills require mindfulness. The /a/ in the word aloha represents Ahonui, meaning persistent patience. I suggest that even as you work hard in a demanding and fast-paced profession, you make sure to take time to slow down and reflect with those who matter most to you about what life means and how it might be savored. Take the time to sit down and reflect on the sacred trust your patients place in you and the to sanctify even the ordinary medical tasks you perform. The /l/ in the word aloha represents Lokahi, referring to treasuring connection not only with our family but also with the memories of all of those who loved you who have passed away. Sit down at your patients' bedside and talk story with them. You are a physician first and a surgeon second. Time spent connecting with your patients helps both of you heal. The /o/ in the word aloha represents ′Olu′Olu, meaning agreeable pleasantness. Remember that no matter the level of your skill as a surgeon, it is the effect of your spirit and the nature of your heart that your patients sense, value, and talk about most. The /h/ in the word aloha represents Ha′aha′a, meaning humble modesty. Constantly ask yourself if you are worthy of the trust placed in you and never forget to constantly look for lessons from your patients. The last /a/ in the word aloha represents Ahonui, referring to living a life of gentle loving kindness. Remember that your patients tend to attribute to you a general wisdom beyond that which you truly have. Work toward earning that high esteem and never forget that shared sorrow is half sorrow and shared joy is twice joy. I ask you to reflect back on the first question I asked you to ask of yourself. Does the person who knows you best think you are a true joy to live with every day? If so, I hope as you fly away from these islands that you will continue to live and work with aloha as you continue to pursue your career in medicine. If not, I hope you will take the time to mindfully consider what I have offered you about the difference between toxic and mindful success. I hope that reflection will lead your surgeon's mind to be more conscious of who and what matters most in your life so that your hands may be guided by the spirit of aloha. Correspondence: Paul Pearsall, PhD, Department of Nursing, University of Hawaii at Manoa, PO Box 26356, Honolulu, Hawaii 96825 (info@PaulPearsall.com). Accepted for publication April 24, 2004. This paper was presented at the 75th Annual Meeting of the Pacific Coast Surgical Association; February 15, 2004; Maui, Hawaii; and is published after peer review and revision.